Commercial Pressure Washing Bristol That Get Results. Are you looking for commercial pressure washing Bristol, Bath and the whole of the Southwest that won’t let you down? 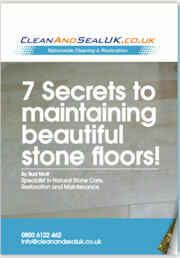 Try CleanAndSealUK. We have an outstanding reputation when it comes to commercial pressure washing cleaning. Our fleet of experienced pressure cleaning guys are only a splash away from assessing your desired commercial pressure washing requirements for Bristol. You can feel safe knowing that you have chosen a reputable high pressure washing company to tackle your commercial pressure washing when you have a job done by CleanAndSealUK. Just fill out the form and we will get back to you very shortly. Are You Looking For Commercial Pressure Washing? Our commercial pressure cleaning service Bristol and Bath is for you if you need high pressure washing on any type of commercial property. We have experience in cleaning at height, internal pressure washing and facade pressure washing in Bristol, Bath and Swindon, plus the rest of the Southwest. For safety, we always use full PPE and follow method statements to the letter. Your safety is our priority when it comes to working alongside CleanAndSealUK for all types of commercial pressure washing Bristol and Bath. Contact us for any type of commercial pressure cleaning Bristol that you require and one of our reps will visit you and do a full site inspection with risks attached. If you’re looking into having any commercial pressure washing done, make us your first port of call. Our commercial pressure washing service Bristol will go far beyond your expectations.